We try to achieve the best and consistent sound quality with each record, but since the cutting process has a lot of variables, each cut might have slightly varying sonic qualities. Sonic qualities could include but not limited to: volume levels, stereo/mono distortion, wow and flutter and adjusted frequencies. All products are free from defects such as scratches, severely warped records, and broken grooves. If a record is reported as defective, it must be reported within 30 days from shipment date and be returned at the customer’s expense to American Vinyl Co for review. Record players and stereo components have a strong influence on how our vinyl records will sound and operate. For that reason we will test any returned records on our hi fi professional system to verify reported defects. If no defect is found, it is the customers responsibility to have the record shipped back to them. Vinyl records produced at American Vinyl Co are made from a special PVC plastic and is different from retail pressed vinyl records, but has similar durability and frequency response. American Vinyl Co uses the exact audio that is received. If the audio was submitted incorrectly, the record will be recut at purchasers expense. Printed materials such as record cover and labels are printed to the cover as displayed by the customer on either the online designer or the templates. American Vinyl Co doesn’t accept returns of printed covers or labels due to misalignment, spelling errors, or any other design flaws. Orders that are not completed by the customer (uploading audio, designing cover and labels, or providing any information that is required) within 30 days will be sent a gift credit for the amount of the order. No refunds will be made. A customer can cancel an order up to 14 days from purchase. Although, our records should not experience issues on most turntables, these records are not guaranteed to work on every turntable. American Vinyl Co doesn’t guarantee these records to work with jukeboxes or automatic turntables without manual assistance to place the tonearm at the beginning of the record and manual assistance to remove the tone arm at the end of the record. American Vinyl Co does not accept responsibility for USPS errors. All orders are insured via easypost insurance automatically. Domestic orders: If a package has not arrived at its destination 30 days from shipping date, American Vinyl Co will open an insurance claim and the record will be re-cut and shipped. No changes to the order are accepted. International orders: If a package hasn’t arrived within 30 days from shipping date, American Vinyl Co will open an insurance claim and the record will be re-cut. Shipping is not covered by the insurance claim and shipping will paid again by the customer. No changes to the order are accepted. 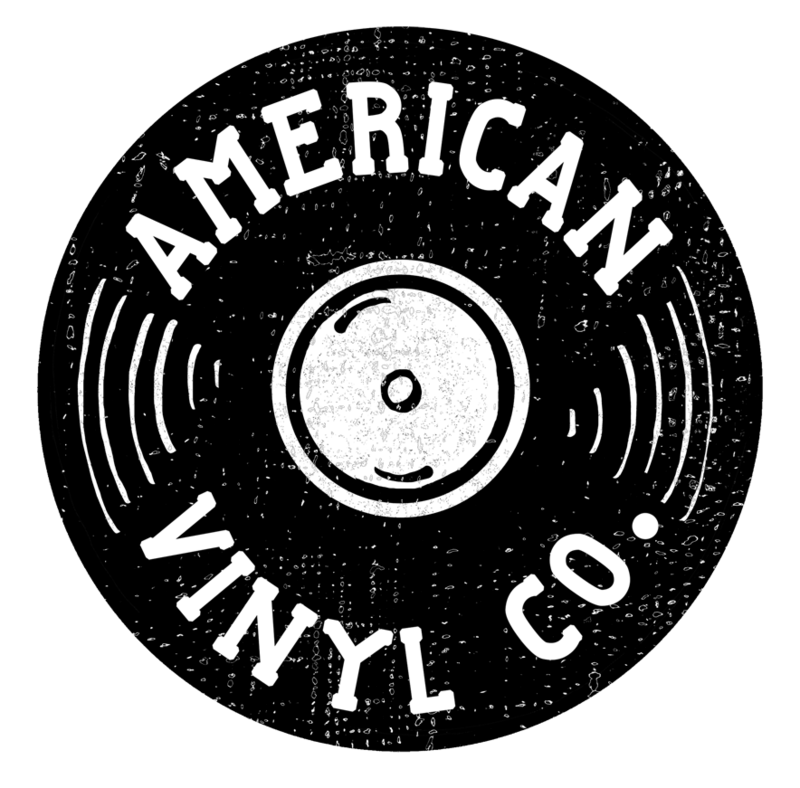 American Vinyl Co does not offer any copyrighted material for sale. 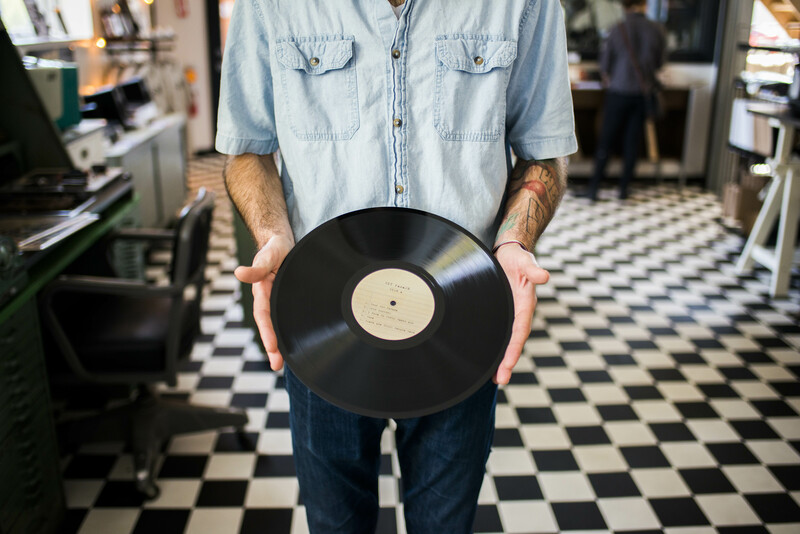 The customer accepts full liability of any legal consequences from misuse of a copyright or copyright infringement releasing American Vinyl Co of all liability in the case of infringement and misuse. American Vinyl Co does not accept unauthorized copies of any audio source (bootlegs). American Vinyl Co will not do copyright checks against any database or collection of music to verify a copyright is being infringed upon and is the sole responsibility of the customer to obtain the correct licensing before placing an order. American Vinyl Co does not own any of the material that is submitted through email/americanvinylco.com website/or any transfer service by the customer and is only offering a service to transfer customer owned/licensed audio material to a vinyl medium. By placing an order from American Vinyl Co you (the customer) agree to all the terms mentioned above.